Van tyres as the Star Performer SPTV facing particularly high loads. They must provide safety in any wind and weather, travel a lot of kilometers in a short time and are heavily used in other ways as well. Not uncommonly the owners of the vehicles are under time and cost pressures. 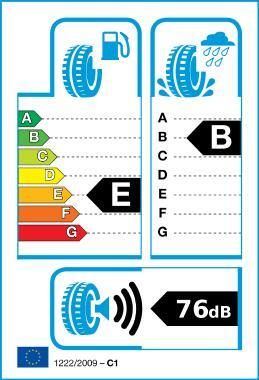 Reliable and economical tyres are therefore essential. The Star Performer SPTV is a winter tyre with a low rolling restistance and therefore a low fuel consumption. The customer reviews on Tyretest.com underline this quality. Here its grip on snow is praised as well. Overall the SPTV performs well in almost all criteria. The grip on wet roads is also convincing - Class B at the EU tyre label. Order the Star Performer SPTV if you are looking for a cost-effective winter tyre, that offers safety in all weather conditions. Superior quality tyres, great for any weather. Massive profile blocks ensure that these tyres are perfect for motorways. The noise level is low, which ensures heightened driving comfort. Long service life, aquaplaning resistance, efficient water and snow dissipation. Offers unequalled traction and grip both on wet surfaces as well as snowy, icy roads.